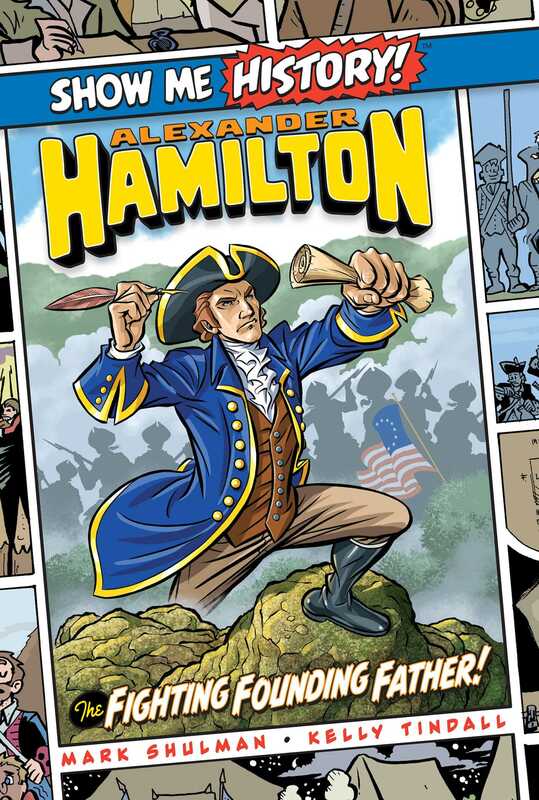 A fascinating and entertaining biography of Alexander Hamilton, in graphic novel format. Alexander Hamilton: The Fighting Founding Father! tells the story of one of the most ambitious and controversial figures in American history in a graphic novel format. From a rough childhood on the Caribbean island of Nevis to the highest levels of American politics, Alexander Hamilton’s life was filled with adventure, conflict, and controversy. Full-color illustrations and an entertaining narrative make this graphical biography of America’s first Secretary of the Treasury accessible for readers of all ages. Book Cover Image (jpg): Alexander Hamilton: The Fighting Founding Father!